Venice is without doubt one of our favourite cities in Europe, and when we came to choose somewhere to hold a small wedding ceremony for our wedding, Venice was our pick. If you’re visiting Venice for one day, as is often the way, you might be wondering what you should do. Well, in this post, I’m going to tell you everything you should do with one day in Venice. Venice is a city that just captures my imagination in a way that few other cities are capable of. It’s a maze of tiny streets, a collection of islands linked by bridges and waterways, and the whole thing is possibly going to sink one day. There is art, music, architecture and food. Most importantly of all, perhaps, the whole place is pedestrianized, what with there being no roads capable of fitting a car on. Seriously awesome for someone who loves to get to know a place by foot, like me. So. 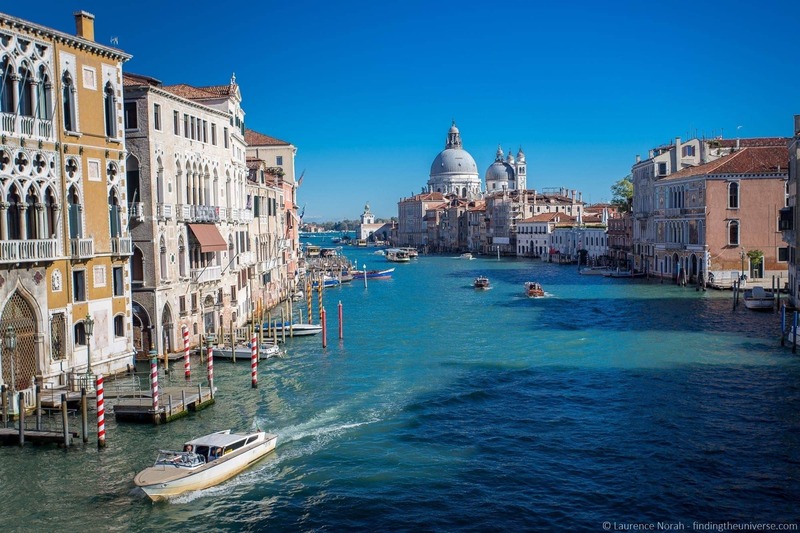 When you’re in Venice for a day – what should you do? Here’s the answer. St. Mark’s square, or Piazza San Marco, is an absolute must for any visit to Venice, and the starting point of our one day Venice itinerary. Oone of my most enduring travel memories is having the whole square to myself during an immense thunderstorm, when everyone (including the pigeons!) scurried for cover, and I didn’t. I ended up somewhat wet, but happy. It’s also where we held our impromptu wedding ceremony with friends and family. Suffice to say, a special place for both of us. The Square is home to a number of sights that are worth taking some time to look at. First, I’d highly recommend getting your legs into shape with a quick scoot up the Campanile di San Marco – the large bell tower at the corner of the square. 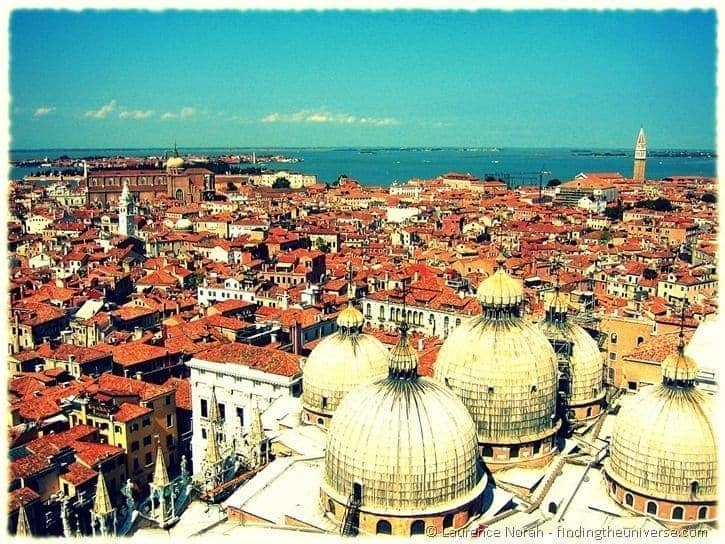 This will afford you with quite splendid views across Venice, and the surrounding lagoon and islands. The orientation probably won’t save you from getting hopelessly lost down the many back streets, but it’s great for taking some panoramic photos all the same. Back down at ground level, you’ll want to take in the Basilica di San Marco. This is one of the most famous churches in Venice, and it’s also handily free, which is a rarity in this town. Around the Piazza there are also a great number of museums and other churches. Entry to these is not normally free, although you can save money by buying a ticket that gets you access to multiple venues, if that is your thing. Otherwise, the square is also home to a number of cafes, many of which have live orchestral music. You’ll pay handsomely for the privilege, but sitting in this square listening to classic music and enjoying a cup of fine Italian coffee is an experience that everyone should have at least once in their life. Apologise to your wallet later! Venice has a lot going for it, with churches, museums and incredible bits of architecture literally jumping out at you on every corner. The other thing that Venice has is a lot of people. The funny thing though, is that most visitors seem to stick to the main street that takes you on a big loop past all the main highlights. If you duck off the main streets, as I usually do, you will find yourself in a maze of back alleys. I’d advise abandoning the map and just giving up on trying to maintain any sense of direction – just wander freely and lost. Venice is, after all, an island, and you won’t be lost forever. 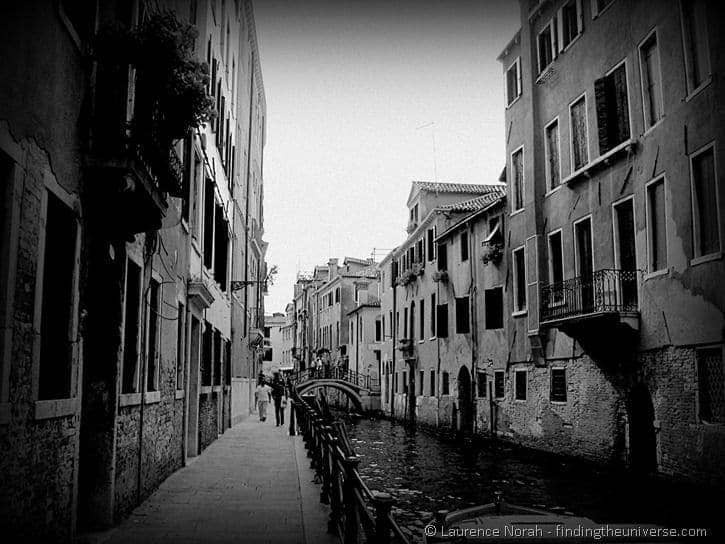 You will, however, be rewarded with a side of Venice that is often overlooked and far less busy than the main thoroughfares. And then you will realise why Venice is my favourite city in Europe. 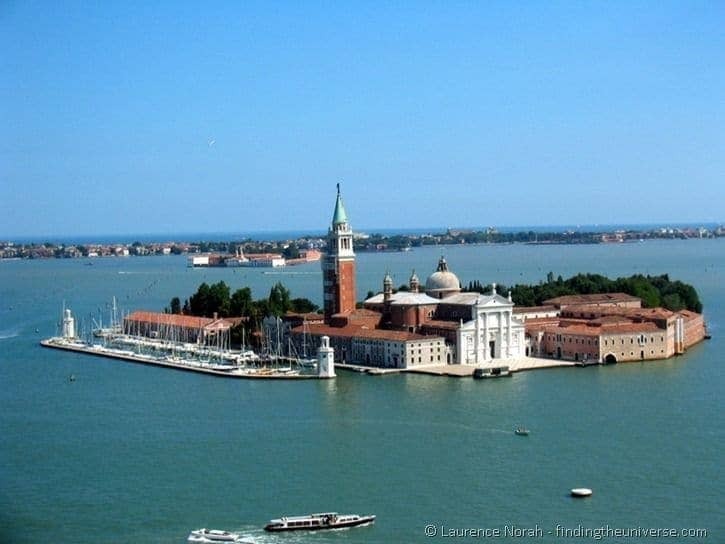 The most well known part of Venice is the central area made up 118 islands. But there are more parts of Venice that are worth a visit. The four islands of Burano are well worth a visit, a fact that is corroborated with wonderful pictures by Ayngelina of Bacon is Magic on her blog post on Burano. Now then. Venice is a city of waterways, and no visit to Venice is really complete without a trip on some form of water borne transportation. If you’re travelling with your significant other, and your idea of heaven is a gentle meander down the back waterways of Venice, just the two of you, luxuriating on some pillows while a muscle bound man serenades you.. well.. you’ll sure be able to find an experience approximating that. 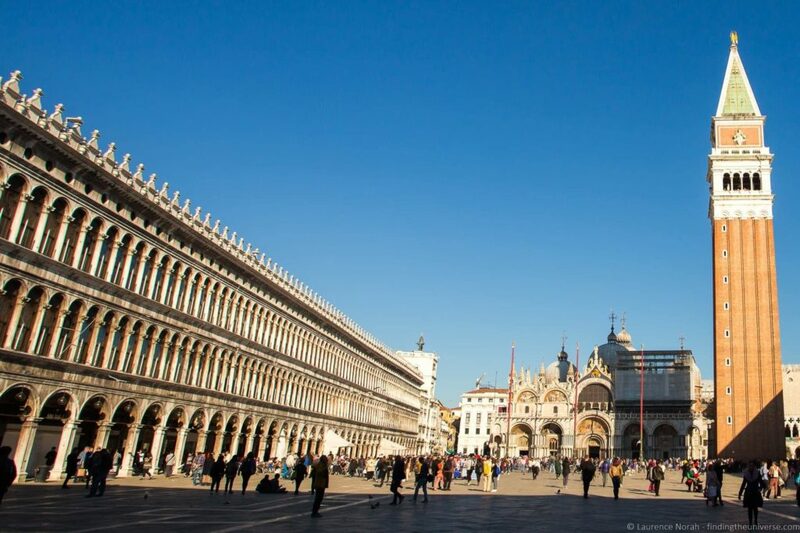 Although, as with the coffee in St. Mark’s Square, it’s an experience you best keep secret from your savings account. If you’re not overly romantic, and you just want to experience Venice from the water, singing be damned, then you have no shortage of options. 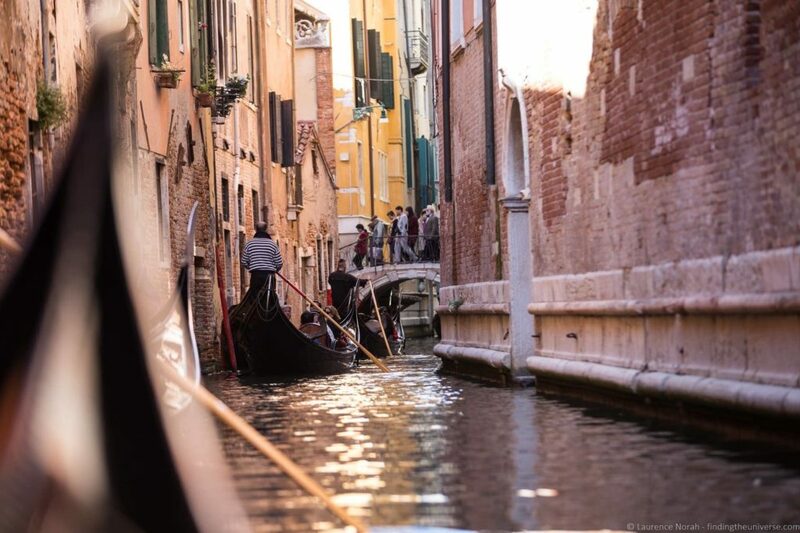 If your heart is set on a gondola, then you can take a gondola taxi from one side of the river to the other. It’ll be over quickly, but as least you can tick the gondola box. Alternatively, there are water taxis, water buses, and water sight seeing tours. Take everything you would normally find on a road, imagine it on the water, and you will find it in Venice. Whichever one you do, you’ll be sure to enjoy it! Venice gets very warm (and very crowded!) in the summer months, although you can escape the crowds by hitting the back streets. My preferred time to visit would be the quieter shoulder months, when it is a little cooler and likely to be less busy. Although this is a tourist town, so don’t expect to be on your own whichever time of year you choose to visit. If you want to visit the churches, remember that it’s common practice for there to be a dress code, which usually means no short skirts or bare shoulders. You don’t want to be turned away after queuing for a long time, so make sure you are dressed appropriately! Our favourite way to find the best deals on accommodation is booking.com. They’re easy to use, usually have the best prices, and have everything from hotels to apartments. Try them for Venice and see! Alternatively, if you prefer an apartment or more of a hosted stay, then I recommend AirBnB. I’ve tried all the others, and AirBnB consistently has the most options for locations around the world. Plus, if you’ve never used them before, you’ll get up to a $100 discount on your first booking with this link! So – have I sold you on Venice? Do you think it belongs up there as my favourite European city? Or are you firmly entrenched in the camp of people who believe that it’s a tacky, overpriced, overflowing tourist trap that just smells awful in summer? Hit up the comments below and let me know! Hello, love your blog:) We will be driving from Milan to Venice. Is there a place we can park our car before we get to Venice since there are no cars there? We plan on staying one night in Venice and then traveling (driving) onto Florence. We are planning on driving because we are then going from Florence to Sorento. So there are a few options for parking outside of Venice, although I should say that we have never used them as we usually take the train or fly. However, when we do travel and use a car, we usually use a website called Parclick (https://parclick.com/parking-venice) which lists all the parking options and the prices, plus you can book in advance, which usually gets a better price. We did this for a week of parking in Paris and it worked out great. Thank you, Laurence! Much appreciated! I am Shruti. Me, my husband and one more couple are planning a trip to Europe in June. And in that we have kept 4 days for Italy. So, first is Venice then Florence, Pisa and then Rome. We are thinking to rent a car over there. Will this be a good option for us? Please suggest. So to be honest, I would normally advise against renting a car if you are visiting cities in Italy. There’s limited parking and driving in the cities can be quite stressful. Public transport (or walking!) is a lot easier. It’s also generally faster and easier to get between the major cities by train. Tickets are great value if booked well in advance, and you can do that on the Trenitalia site – there’s an option to do it in English as well. So I would probably suggest that instead. I along with my family (spouse, daughter-3yrs and son-1yr old)would be visiting Italy from 31May thru 08Jun. Since we don’t prefer to move around especially with an infant we would be staying in Rome during this period and do day trips from Rome to Venice, Florence and other places if possible. 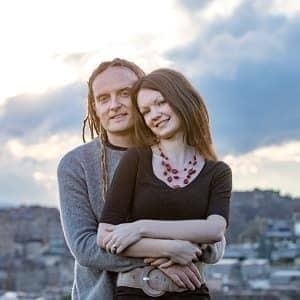 Could you please suggest more information on this? So you have two main options – you can book the train from Rome, which will take you to these places quickly and easily. Bookings can be done online at the Trenitalia website, which has an English version. The best option would be to take a train from Rome to Florence (around 1h 30 min), and then on to Venice (another 2hrs). However, as you note, the majority of museums in Florence will be closed on the 25th. So you would likely be better off going to Venice on the 25th, as there is plenty to see outside even if some of the attractions are closed to going inside, and then going back to Florence. Of course, this does depend on where your next destination would be and your flights, but that would be the best option in my mind. Personally I wouldn’t overnight in Rome for these day trips. Whilst Florence is achievable as a day trip from Rome, Venice is quite a distance, and you would spend most of your time on a train. I’d highly recommend overnighting in at least Venice to make the most of your time there. Hi, I’ve read your “3 Days in Rome” blog as well as “1 Day in Venice”. We’ll be visiting Rome and Venice next week and I’m concerned with the dress code you warned about. Are slacks and/or capri pants appropriate for a woman? Should men wear trousers or are shorts allowed? Is the dress code for all/most churches in Rome & Venice or just Vatican City? Do any other sites have a dress code beside the churches? Great question. As far as we know, it is just the churches / religious sites that have the dress code. Men need to wear long pants (not shorts), and need to have their shoulders covered. Women need to have their shoulders covered and their knees covered. So slacks and/or capri pants should be fine, as long as they cover your knees. We recommend always having a cardigan or scarf that you can drape over your shoulders. I hope this reassures you a bit! Thanks! I think we’ve got the dress code mastered. We left time 3 dates ago and I think the dress code for me is no short shorts. My husband and I with our 2 years old son are planning to visit Rome and Venice during middle of July. Would you please suggest what would be the best way to travel from Rome to Venice, through Plane or Train? OK I need some advice! I would definitely say that the Panasonic TZ100 would be a good option. I have it on my list of best travel compact cameras (https://www.findingtheuniverse.com/best-travel-camera/) – it’s a great compromise between portability and manual functionality. I believe it also charges via USB, which cuts back on the number of power adaptors you need to travel with!